Last Month, October, CoralGardening made an appearance in a very colorful and fragrant place: the LUSH store located in Den Bosch. 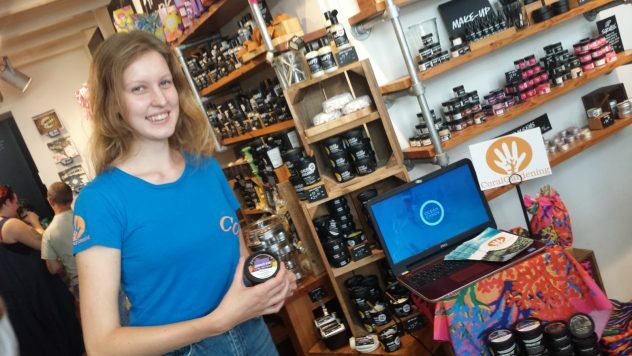 The entire day was dedicated to the theme of coral and CoralGardening, and Esmee, together with the staff of LUSH, educated as many people as possible about the importance of coral reefs and their recovery. 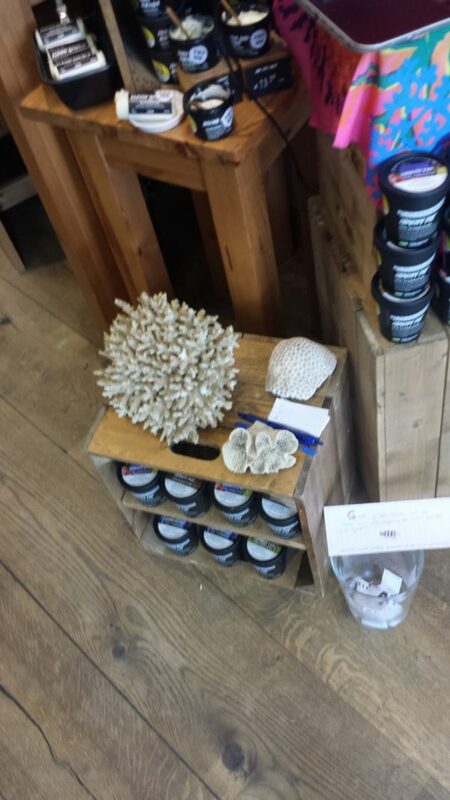 Movies, genuine coral specimens, enthusiasm, a competition, and the sale of the charity pot made the day successful. 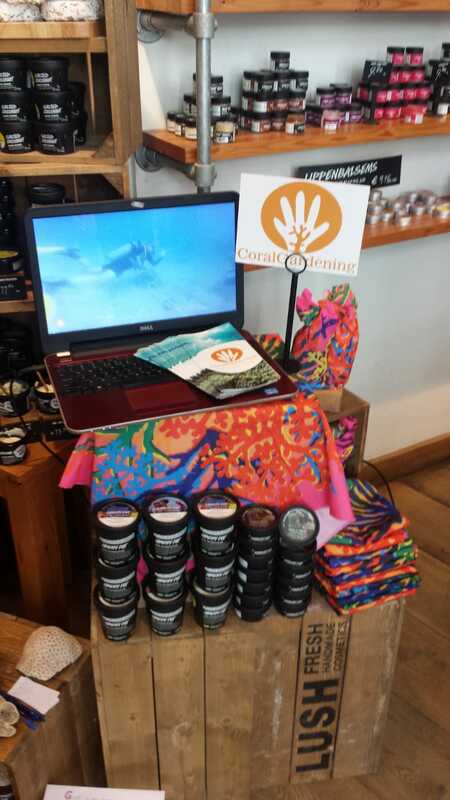 No less than 150.15 euros were collected for CoralGardening! Visitors were asked to come up with a name for the red breasted wrasse that lives in the CoralGardening. With a large majority, they have chosen: Suppy. Fully cared for, hydrated and motivated, we return to our every day activities at CoralGardening, we carry on, aided by this donation. happy to provide you with much more information than was included in this newsletter! Next post Coral Day: Coral in the spotlight!